Sitemaps are commonly used for instructing the search engines which pages from your website should be indexed. Generating a sitemap has never been so easy with the integrated sitemap generation tool in the Boonex Dolphin platform. In order to access the sitemap tool you will need to login into the Administration area of your website and to navigate to Tools>Sitemap. Once there you will see a single section called Sitemap with few options in it and there is the place where after configuring the options you will be able to generate the sitemap of your social community. Once you choose for the sitemap to be generated and hit the Submit button your application will generate successfully the sitemap you need and the indicator will be changed to yes. 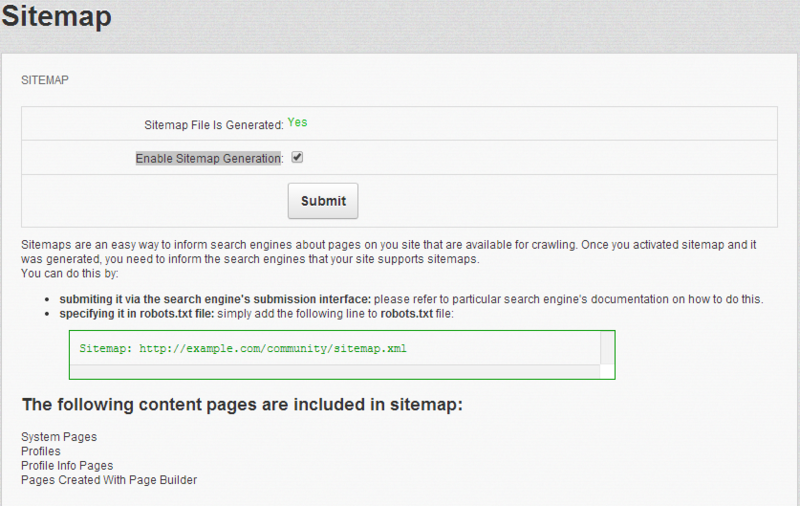 In the green bordered box you will find the URL to your sitemap if you would like to submit it to some search engines. Congratulations! 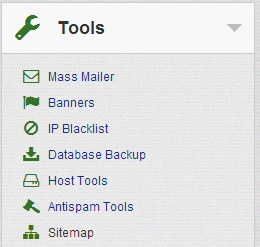 You have now generated the sitemap for your Social Community!